There is and has been a swirling cloud of controversy surrounding whether or not parents should reward their children for earning good grades in school. To me, it is normal and natural for a parent to want their child to do well – in school and in life. I believe that smart parents find ways to reward behavior they want to encourage. The carrot is better than the stick, in old fashioned terminology! My parents rewarded by brother and I for good grades. They paid for good grades, we paid for bad ones. I remember getting a quarter for every E (excellent work) and although I never had to pay it, there was a penalty for any grade below average. We rewarded our sons for good grades – through high school. My brother and I excelled in school, as did both of our sons. That said, it wasn’t the money that caused us to get good grades, it was the parental focus, support and involvement in our academic life and their recognition of our academic achievements that led to our academic success. Monetary rewards for grades were just one aspect of that support, involvement and recognition. Which means, that more than half do not pay for grades, but it is a small margin, so the debate is on! Parents who object to paying for grades feel that their students are expected to study hard and shouldn’t have to be motivated by money to do so. They relate it to paying for demonstrating courtesy. Parents who object to paying for grades feel it is ineffective, paying for the final outcome isn’t helpful when the process involved to get there isn’t rewarded. In fact, some studies, done long ago and outside the family environment show that rewards (of any kind) for work done may actually hurt intrinsic motivation. “Offering some unrelated incentive–an iPhone for an A- in honors math or a pair of Beats headphones to boost a grade to a B+ from a C in Algebra 1–is artificial, at best. After all, isn’t the point to get your kids to work hard for the satisfaction of a job well done? Isn’t a good grade, and all that goes along with it, a reward in and of itself? In other words, parents yell at the teachers if the teacher doesn’t give a good grade! Parents who pay for grades believe that if used as part of a fully supportive in-family system with the right expectations and intermediate recognition of successes, it works. It worked for us. Would we have gotten good grades without the pay? Probably – because it was part and parcel of a bigger system, but it was a nice little incentive and acknowledgment of our effort. Parents who pay for grades believe that it reinforces parental priorities. Lets face it, parents are responsible for raising kids and every day in every way they use positive and negative rewards to do so. 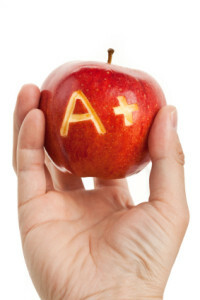 Paying for good grades merely reinforces parental expectations of good behavior. Parents who pay for grades feel it helps prepare their child for performance based job rewards. How many of those parents who won’t pay their kids for good grades, get merit increases from their company in their salary each year? How many CEOs get bonus or stock rewards for increasing company bottom line financials? It is part of life. Parents who pay for grades feel it is one way to help teach their child money management. Kids need to have available money of their own, so they can make their own mistakes, so parents and kids can have discussions and practice sessions on spending, saving and giving. Providing financial rewards for good grades is one method of getting some money into a child’s hands so they can start learning these things. There is no doubt in my mind that rewarding achievement of good grades is an acceptable parental behavior. There is no doubt in my mind that parents who pay their kids for good behavior of any kind WITHOUT parental involvement, support and encouragement along the way, will not accomplish their goal. I also do not believe that pay for grade programs administered outside the family will succeed, because they will lack that system of parental involvement, support and encouragement. BUT, paying for grades within a full system of expectations, ongoing support, encouragement and recognition can provide added incentive for success. Where do you stand on the pay for grades debate? Honestly I think good grades should just be expected and should not be paid for. I do like how you had to pay your parents for bad grades though. How will you or do you voice that expectation to your kids? I think it really depends on the incentive given,sometimes they need more than just verbal motivation to do what they should do as students. Parents must plan ahead, so that the incentive they’ll give will be something that their child will be able to use in the coming school year or something that will take their attention from their study. I think that the more ways you can reinforce your expectation, the better chance you have of it being met…..
Tough call. I didn’t get paid – but I did receive the other things you did (help, encouragement, etc.). I do like the idea of paying your parents if you get bad grades though! As I said, getting paid was just the icing on the cake (as long as the grades were good). I will be paying for grades. I don’t know about $16, but they will get something. I think that it makes the child more engaged and by doing that it keeps me engaged. If I don’t have some incentive to keep up with their report cards, I might forget and not make it a focus. If my kids are promised maybe $5 I know at least one of the kids will alert me that it’s report card time and help me focus on helping the stragglers and high five-ing the achievers. Good point about it helping the parents remember to stay involved! When I was younger, (like under 10 years old) I remember that my parents paid my sisters and I for good grades. $5 for an A, $3 for a B, or something like that. But this didn’t last long for whatever reason, and for most of my academic life, we were not rewarded for our grades. Both my sisters won scholarships, we were all in the top of our classes, and all went on to graduate University and then some. I don’t think I’ll be offering rewards to my kids when the time comes either. Sounds like your parents did the right things! I think that it depends a lot on the child and on the family. Some children are more intrinsically motivated, and get good grades because it makes them feel good about themselves. Others might require outside influences, like getting extra privileges or being paid. Regardless, I agree with what you’ve said about parental involvement- it is what’s most important, above everything else! Good points Kayla, each child is so different, even coming from the same parents and growing up in the same home! My parents didn’t pay for good grades, and we choose not to as well. What my wife and I emphasize is work ethic and the perspective of doing the best that they possibly can in everything they do. The grades just take care of themselves. That reminds me of how I got to see my first professional baseball team. The school and ballpark had a program to give honor roll students a free pass. It was great! There is also the aspect of paying for grades with tutoring and test prep, the money of which doesn’t go to the children, who only benefit from the investment. An unfair system, to be sure. I think rewards are important but not monetary in my opinion. Also teaching children to be satisfied only with the feeling of accomplishment is very important in our instant gratification society. Money is just a tool. I think using it as a reward is OK – as long as you do the rest of the necessary tasks to grow that satisfaction with accomplishments.